Wednesday is Weigh-in Wednesday for me. It was started by Kim of Making 40 Fabulous. We even have a private Facebook group where we share recipes, tips and advice. It's been a wonderful place of support and encouragement for me. If you would like to join us, simply let me know. I do believe group support is so helpful when making lifestyle changes. So here's where I am today. It's been five weeks since I made a commitment to make exercise a daily habit in my life. This is what's happening. I've been consistent in exercising every day except for three days. The latest research states that it takes about 66 days of consistently doing an activity before it becomes a habit. I'm not quite to that point yet but I'm close. The three days I missed were days when I had off work and figured I'd get my exercise in later in the day. Big mistake! Before I knew it, time got away from me and ...I didn't do it. That's a lesson for me as I discovered that I need to exercise first thing in the morning before my brain is engaged. This way I don't need to make a decision every morning. It's a done deal. But I also need to prepare the night before. I have my workout clothes assembled and ready along with my water bottle and Kindle. I basically get dressed while I'm half asleep and step on that treadmill. Believe me, I wake up very quickly! I set a clear goal to establish exercise as a daily habit. I knew the obstacles I faced to accomplish this goal and so I made adjustments to overcome them. Accountability is important for me to achieve my goal. Writing about my progress on Heart Choices and participating in the Facebook group are ways to stay on track. 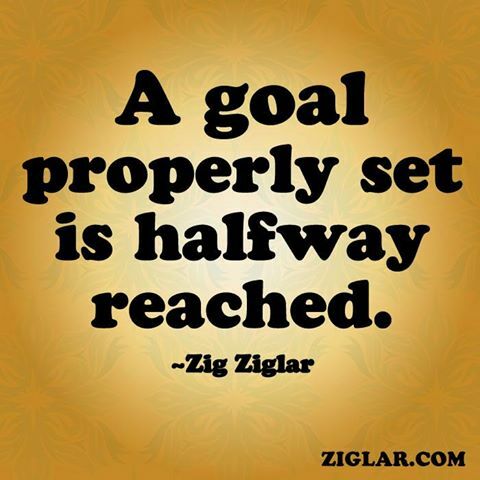 Many people never try to accomplish a goal because they cannot envision themselves achieving it. 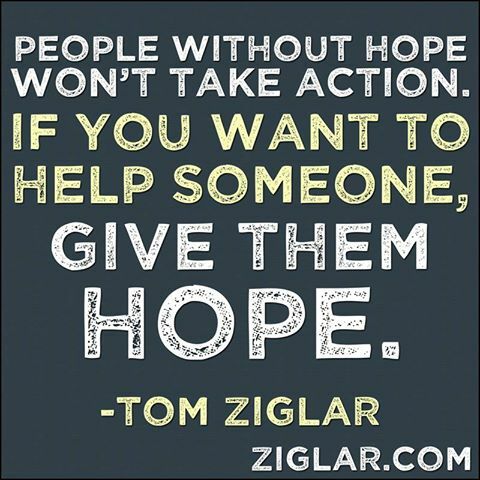 I love the Ziglar quotes as they provide such encouragement. You need to be able to envision yourself achieving your goal. What I take away from this is that goals must be realistic. I've seen too many people set a goal of losing 20 pounds within two months or something like that. My goal is to live a healthy lifestyle so it's not a diet and exercise program. It's a way to live from now on. If I won't be able to stick with it, it won't work for me. I don't want to gain and lose and gain even more. I'm also working on cutting back on my calories. I've discovered that sometimes it's the little things that add up. My weight is coming down but a bit more slowly than I hoped. So I've increased the intensity of my exercise a bit. I still have about 12 pounds I'd like to lose but I'm doing it slowly. How are you doing? Do you look at losing weight as a short term goal or a long term lifestyle change? What kind of support do you like? Are you a loner when it comes to making changes or do you prefer groups? You are doing so well, Debbie, keep up the good work!! As you know, it is not easy, but so worth it. I'm right on the same page! I have had a few relapses while we have had home remodeling going on, but I AM DETERMINED!!!! I am doing the same thing you are, and we are going to DO this thing!!! It's encouraging to me to have you doing the same thing in Arizona that I am working on in Texas!! Good work Debbie! 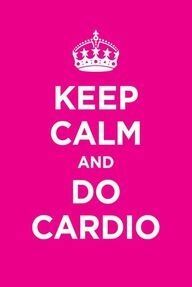 For years and years it seemed I did that treadmill and it is just how I did it too. I stepped out of bed and onto the treadmill and put in 30 minutes and from the treadmill to the shower and from the shower to my day. I took Sat. and Sun off though. I did this until the day my knees just couldn't keep up anymore. Nothing would give me greater pleasure than to get back to it. I actually looked forward to my time on there, haha. Glad to hear it is going well. Keep it up my friend! Keep up the good work--so proud of you. We finally got a tv that I can work the DVD on so I have done my exercises Monday, Tuesday, Wednesday of this week--I'm so excited!!!!!!!!! You are on the right way. Good luck. I do it in a gym 3 - 4 times a week. I have no promlems with weight though. I do it to be stronger. Wishing you well in this! Good work so far and I love the realistic goals approach as well as the little things that make a big difference over time. I also agree with you about the lifestyle change so that you don't go up and down and up and down. May God be with you and bless your discipline. "If I won't be able to stick with it, it won't work for me." - this is where I have found myself having to come up with a new game plan myself. Hopefully this week finds me successful in putting that plan into action! :) Love your updates!